Kosher Group Mission to Ukraine. Experience Shorashim's Forensic investigational team in the field and archives. Shorashim Investigations: Mission to the Ukraine. Join our quest in the Ukraine to discover and reaffirm the Jewish roots of two Israeli families of Russian descent, whose Jewish identities were stolen and lost in the brutal regimes of 20th century Europe. 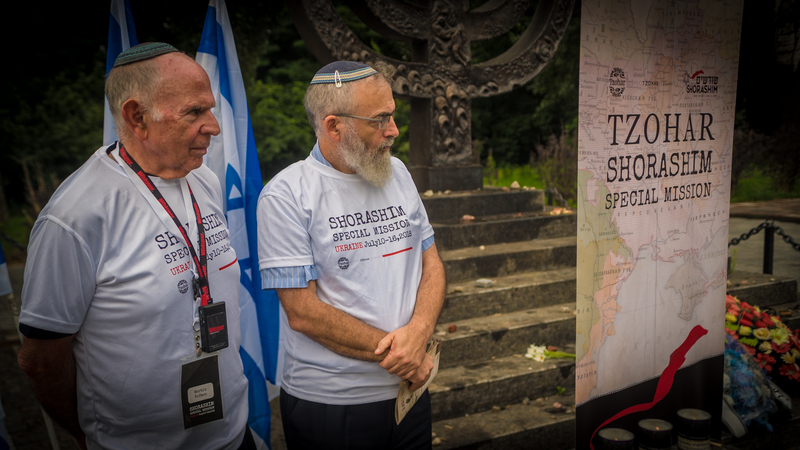 Led by the Shorashim Forensic Investigation Team, a project of the Tzohar organization in Israel, this extraordinary odyssey of Jewish history and Jewish life will begin in Odessa and conclude in Kiev. Experience Shorashim’s on-the-ground forensic investigations and genealogical research work.Uncover evidence in the field and archives, and discover the critical clues which prove the Jewish roots of our Shorashim families. Study with the renowned scholars-in residence, Rabbi Dr. Jacob D. Schacter and Rabbi David Stav, to immerse in the fascinating and moving history of Jewish life in the Ukraine and learn of the heroes who helped realize the Zionist dream. Meet in Odessa for briefing and orientation. Our Shorashim forensic investigators will prepare us for our journey by introducing their methodology, tools for collecting evidence, and confidential sources of information. Overnight in Odessa. 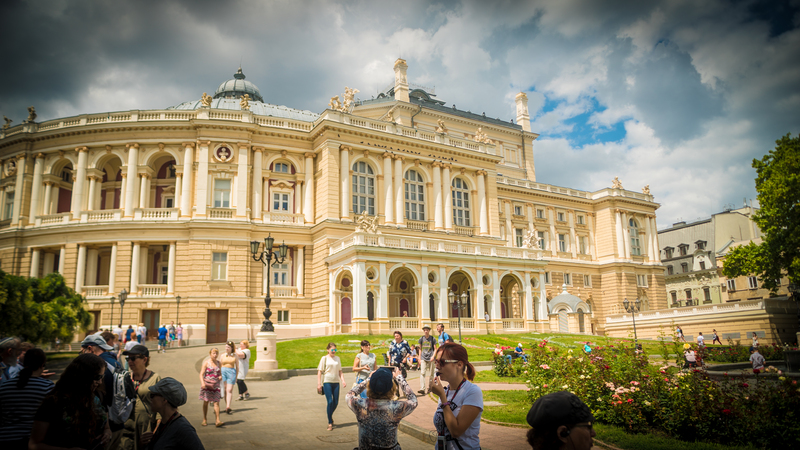 Encounter Odessa, a city rich in history and culture, and adored by artists, writers, and poets. Walk with the life stories and works of Bialik, Jabotinsky, Ahad Ha’am, Dubnov, Sholem Aleichim, and many others. Experience the cultural sites of downtown Odessa. Visit the historic synagogues and Jewish institutions in the city. Overnight in Odessa. Travel back in time to the Pale of Settlement! Follow in the footsteps of legendary Chassidic rabbis and the millions of Jews whose roots have been lost, while locating vital evidence that will enable us to rediscover the Jewish roots of our two Shorashim families. Tour Breslov, where the Chassidic court was founded by Rebbe Nachman. Celebrate our “Shabbat in the Shtetl” in the picturesque village of Medzhybizh, the famous town of the Baal Shem Tov which was the cultural center of Ukrainian Jewish life for centuries. Overnight in Medzhybizh. Shabbat in the Shtetl: an unforgettable experience! Share in the emotion and joy of Shabbat with our Shorashim couples as we reaffirm their Jewish identities. Immerse in the melodies and the atmosphere, savor the inspiration and wisdom of our rabbinic scholars, and delight in the camaraderie of our Tzohar group. Overnight in Medzhybizh. 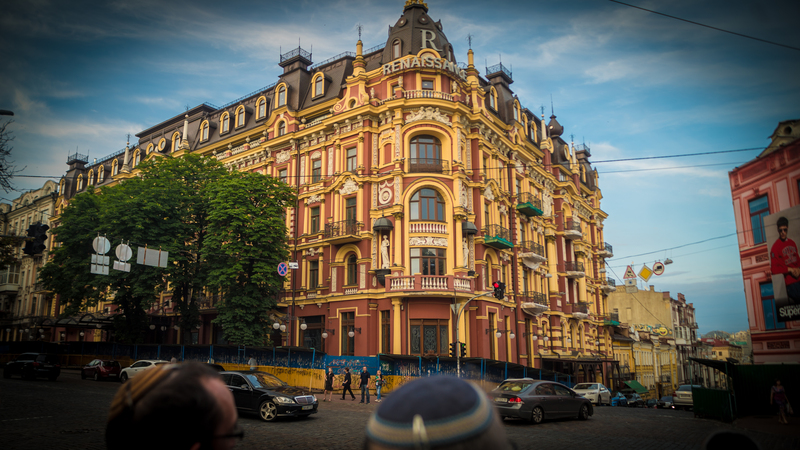 Continue to Berditchev and Kiev to reimagine the vibrant Jewish life that once was. 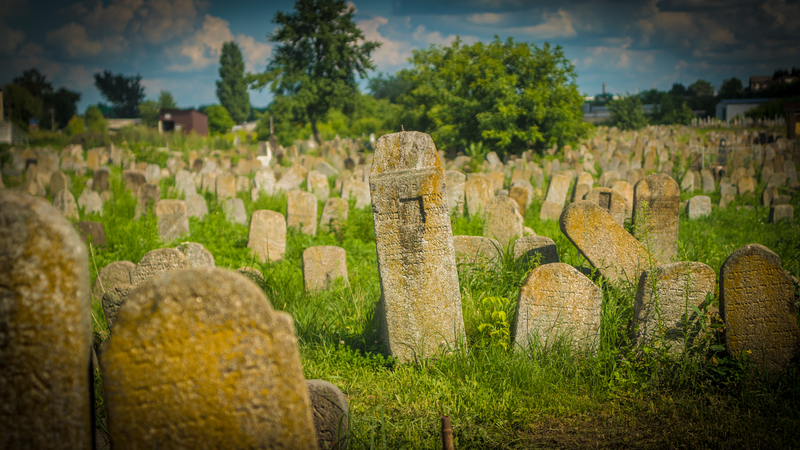 Visit the vast Jewish cemetery, including the “ohel” of Rabbi Levi Yitzchak of Berditchev. 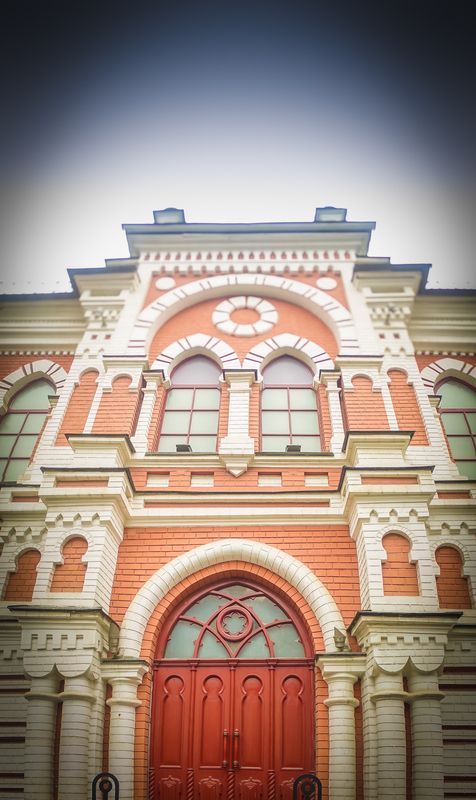 Learn the teachings of Rabbi Levi Yitzchak in the historic synagogue of Berditchev. Be inspired by the beauty of the great choral synagogues of Kiev. Connect to the history of Golda Meir’s house and the Sholem Aleichem monument. Overnight in Kiev. Explore modern Kiev and share in the grief of Babi Yar. Behold the monstrous Soviet Motherland Monument. Tour Maidan Square, the Museum of Historical Treasures of Ukraine, and the Great Patriotic War Museum. Commemorate the massacre which occurred at the ghastly ravine of Babi Yar. Gala Farewell Dinner and reflection. Overnight in Kiev. Leisure time in Kiev followed by a late morning departure to Kiev airport and return home. Price includes a $7,500 tax-deductible donation to Tzohar for the Shorashim project to sponsor the investigation and authentication of Jewish roots for approximately 180 Jews from the former Soviet Union who are living in Israel. Price is in U.S. dollars. $2,500 registration fee per person is nonrefundable. Concerning arrangements for hotels, transportation, touring, restaurant, or any other services in connection with the itinerary, Tzohar/Shorashim acts only as an agent for the tour participants. We will exercise exceptional care in making such arrangements. However, we cannot assume any liability for any injury, damage, loss, accident, delay or irregularity to person and property because of an act of default of any hotel, airline carrier, restaurant, company, or person rendering any of the services included in the tour. Tzohar reserves the right to decline participation should such person's health impede the operation of the tour to the detriment of the other tour participants. Tzohar reserves the right to cancel or change itineraries or substitute comparable service. If for any reason beyond our control, Tzohar is forced to cancel the mission, we will refund the registration fee in full. Itineraries may be altered as a result of security, logistics, or weather concerns determined by either Tzohar or the contracting group. Costs associated by such changes are to be the responsibility of the ground agent. In the event of devaluation of the US dollar, hotels and other vendors may add surcharges. Such increases will be passed on to the trip participants. Tzohar's mission is to foster vibrant and inspiring Jewish identity to guarantee the Jewish future of the State of Israel. Tzohar provides an array of Jewish lifecycle programs and services for hundreds of thousands of Israelis every year. Tzohar shapes Jewish life in Israel through advocacy and legislation and cultivates an influential and responsive religious Zionist leadership. With over 1,000 volunteers and a firm commitment to Jewish Law, Tzohar is a socially conscious movement securing an ethical, inclusive, and united Jewish society. Shorashim is a project of Tzohar and is a shining example of Tzohar's approach. For the last 20 years, Tzohar has been identifying national Jewish issues and successfully implementing workable solutions in response. Tzohar is paving the way for a more ethical and joyful approach to Jewish life in Israel and is bringing Israelis closer to their Jewish heritage.